Hello Frndzzz.... www.dealsnloot.com Back With New Snapdeal Refer and Earn Loot. Snapdeal is again started refer & earn promotion where you will get Rs. 100 in your freecharge wallet when your friend make their first purchase on Snapdeal app andyour friend will instantly get Rs 100 for downloading snapdeal app through your Referal link and register using your referal code. You can Refer your maximum 3 Friends only. 3. You will get Rs 100 credited to your account which you can either use to shop on snapdeal or do mobile recharges on freecharge. 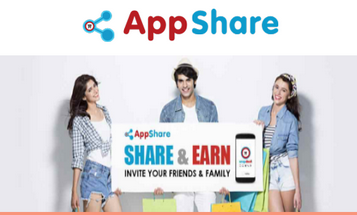 2) Then Go to refer and earn option and start refering your friends. 3) Once your refered friend make his/ her first purchase on snapdeal app you will get Rs. 100 in your freecharge wallet. 4) You can refer maximum 3 persons only. 1) After signup using above referral link and code . 2) Make minimum Rs.100 purchase and pay via Debit card / Credit card or any online method. 4) Once you get your Rs.100 in your freecharge wallet. Cancel the Order. Note:- If You Already Have Snapdeal App , Just Clear Data In Setting. Install Above Apps On Android. Open XPOSED Installer>Framework>Click On Install/Update. Tick Mark & ROOTCLOCK, Like Below & Restart Your Phone or BS. OPEN ROOTCLOCK app>ADD/REMOVE APPS IN IT>CLICK ON PLUS SIGN(+) ON TOP RIGHT CORNER–> ADD com.SNAPDEAL.main FROM IT & Close It. Now Open HIDEMYROOT APP & Click HIDE SU BINARIES, Like Below. Now the main Step is with XPRIVACY APP.Open XPRIVACY app,scroll down and find snapdeal,click onsetting>Identity and make change like Below. Now click on Snapdeal and open it and now you will see many options like accounts,contacts,etc. Now scroll down and tick mark on “Phone” , “Shell” and “System”. Now Open Shell and Tick mark on “Su”and “Sh” . Now click on System and scroll down and you will see “get Installed Packages” tick mark on it. Click on 3 lines in right top corner and click on Settings. Now Scroll down and you will see options like Clear and Randomize Now . Click on“Randomize Now”. Now Click on Save button and now close Xprivacy App after saving random values. Close EVERYTHING Open New SNAPDEAL APP & Put NEW MOBILE NO. & Your REFERRAL CODE. For Unlimited times Clear Data of Snapdeal App. Open Xprivacy App and go to settings and Click on Randomise Now. Now Open Snapdeal App and enter your Referral Code and new Unregistered Number and Sign up. Do this again and again for unlimited Snapdeal Cash.